When you consider all of the different services that you pay for to assist with the upkeep of your home, you may realize that you get a lot of expert help along the way. You routinely hire people like plumbers, electricians, and contractors to help maintain, renovate and take care of your home. You may even have a lawn service that comes in to take care of your lawn and landscape. So where does this leave the trees on your property? Trees at a great deal to the beauty and value of your home and they do require proper maintenance to allow them to stay healthy and safe. 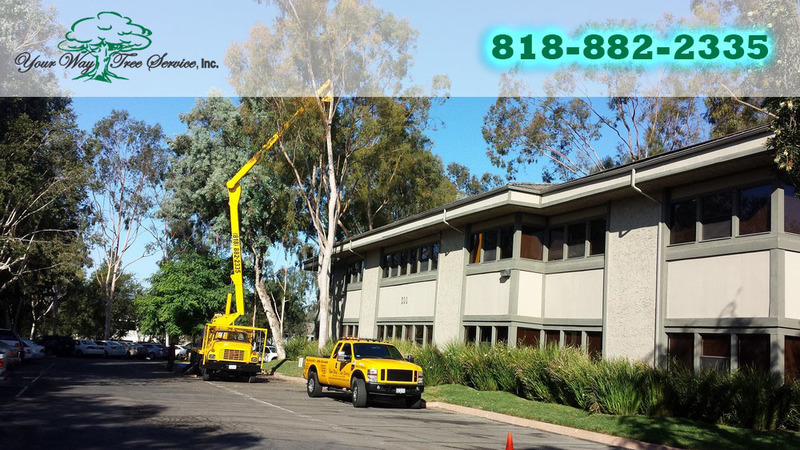 At Your Way Tree Service Inc., we feel there are a couple of reasons why you may need a tree service in West Hills to help with your property. There may be times where there are trees on your property that can be a safety hazard to you, your family, your home and your property. You may have a situation where trees have grown too large and limbs now hang over portions of your house or property in a dangerous manner. You may also have had trees that suffered damage during a recent storm and are now in a precarious position and threaten your home or your power lines. Our service can come to you and perform proper trimming or tree removal to help to keep your property safe. Another reason why you may need the help of our tree service in West Hills is that the services we can perform for you can help save you money. Many people may try to perform tree trimming or other services on their own in the hopes of saving money; however, without the proper knowledge and experience, you may end up causing worst damage to your property, your powerlines or the property of your neighbor. In the end, this can cost you a great deal more than what it would cost to hire us to do the job safely. 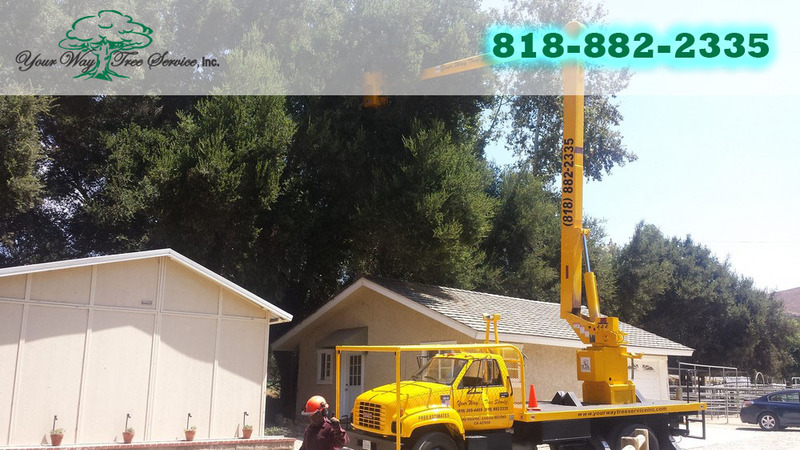 If you are in need of a tree service in West Hills, reach out to us at Your Way Tree Service Inc. by calling our office at 818-882-2335. You can schedule an appointment for one of our experts to come to your home and evaluate the situation with your trees and make proper recommendations regarding the work that we can do for you. Your trees will get the assistance and treatment they deserve, and your property will look at the best with our help.